The poem goes on addressing the dead: “You mixed up farewell to an epoch with the beginning of a new one,/ Inspiration of hatred with lyrical beauty;/ Blind force with accomplished shape.” War starkly polarizes whole peoples into friends and enemies and has the power to twist human values: In the presence of an enemy, inspiration is felt not from an encounter with beauty but from a feeling of malice; brute strength against an enemy is seen not as violence but as progress. This admission that the sheer aim of poetry, even if impossible, can offer consolation to the individual is a hard-won realization for Milosz, who is only too aware of the entire populations poetry could not save and, because they did not survive, could not console. This seems to be the real struggle here, and it is a struggle with no easy solution. If poetry is to bring solace, we must somehow also accept its essential contradiction — it aims to save us but cannot. Poetry cannot be contained and dispatched like pallets of food and water dropped from planes to nourish the oppressed. Poetry cannot be of use. This is how the poem ends: “They used to pour millet on graves or poppy seeds/ To feed the dead who would come disguised as birds./ I put this book here for you, who once lived/ So that you should visit us no more.” The dead cannot be fed by poetry. Poetry could not save them and to be revisited by reminders of the dead is only to be reminded of poetry’s impotence. Only the presence of poetry’s perhaps impossible aim brings solace. Poetry, for Milosz, is like our idea of the Good, the Beautiful, the Sublime, the godlike heights to which human beings aspire, even if we can never reach them. This is the epigraph Jill Bialosky draws from “Dedication” for her new memoir, Poetry Will Save Your Life, and it is the passage that generates the memoir’s title. Bialosky is executive editor of trade poetry at W.W. Norton & Company and the author of several books of poetry herself. William Logan gave the book a scathing review in the Tourniquet Review earlier this month, which probably would not have become news had there been no mention of the plagiarized passages Logan discovered. Reactions from poets, critics, and authors, even those on the Norton poetry list, started peppering Facebook. Given Logan’s reputation as a critic so hard-assed as to be cruel, the consensus in many of the comments I read seemed to be that Bialosky had made a mistake that amounted to no more than accidental patchwork writing and that Logan was a misogynistic sadist who delights in tearing people down. “When Logan goes after a writer, he often sounds as if his real goal is not to criticize the writing but rather to destroy the writer,” one poet commented. “It’s ugly and repellent. JB is an accomplished poet, novelist, memoirist, and editor. She’ll be fine.” (It would be interesting to see how this discourse would have transpired if the genders of the reviewer and the reviewee were inverted, but we must leave that to the realm of the hypothetical.) And 72 writers, many of whom were published by Norton and edited by Bialosky, signed a letter sent to the New York Times voicing concern that its coverage of Bialosky’s plagiarism tainted her reputation. Bialosky put the full list on her website. Striking back, a few weeks later, Logan published further findings of plagiarism in Bialosky’s previous work, to which no mainstream media reacted. (This is because, I think, the old quibbles about what constitutes plagiarism are deeply uninteresting and ultimately unresolvable). The substantive content of Logan’s review of the book was largely lost. My claim is that there is far more to say than whether she plagiarized or not. There is also much more to say about what constitutes “patchwork writing” versus plagiarism in the digital age and whether the passages Bialosky copied, which largely consist of factual details about the lives of canonical poets, are such serious violations (as compared to copying an idea or thesis from elsewhere). Neither is this the place to discuss the anxiety of influence, since the plagiarized passages are, as the 72 Friends of Literature put it, “biographical boilerplate.” My claim — which does not seek to attack Bialosky personally — is that this incident exposes certain serious dysfunctions within the poetry industry and the way poetry insiders try to convince outsiders about the worth of their art, when they then undermine the worth of poetry as art in certain key ways. Bialosky’s thesis, which she claims remains untainted by the plagiarized portions, is actually a symptom of this larger dysfunction; the plagiarized portions accidentally underscore it. The assumption underlying a view of Bialosky as victim and Logan as cruel is the unwritten rule in the poetry community that if you really don’t like someone’s work, you simply do not comment on it. (Perhaps you also withhold a click to like or share it, because inevitably you are connected to even the poets whose work you dislike.) When it comes to reviewing, you definitely do not publish takedowns of works. This isn’t because poets are nice and sensitive. This, as I see it, is because of a pervasive insecurity about the status of poetry in our culture. On the one hand, between large and small independent publishing houses, the U.S. publishes thousands of new books of poetry every year, and where a generation ago there was just one poetry book contest in America, now there are over 300, according to a 2010 article in The Chronicle of Higher Education. 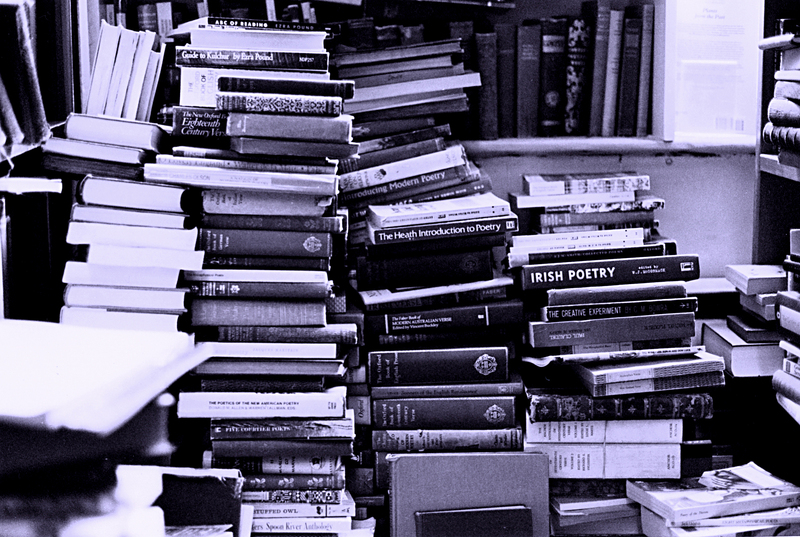 And it’s estimated that less than seven percent of Americans even read poetry. Publishing houses accept as a rule that they will almost always take a loss on a publication of a book of poetry. I am not using such numbers to make the reductive argument that poetry doesn’t matter. I maintain the conviction that the way we use language is a reflection of who we are and where we are in history. Poetry has the force to speak for whole generations, and many American poets have written such works. Think of Whitman’s Leaves of Grass. Think of T.S. Eliot’s Prufrock. Think of Ginsberg’s Howl. More recently Claudia Rankine’s Citizen: An American Lyric, a long poetic reflection about race in America that takes on many voices (and it is notable for the later portions of my argument that the speaker isn’t just aligned with Rankine herself but a multiplicity of voices constitutive of the dynamics of racism) became a bestseller. But the reception of Rankine’s work was unusual for our moment, bolstered by a spectator at a televised Trump speech who sat right in the line of the camera and opened up the book, displaying its stark black and white cover in what felt to many of us, poets and not, like a moment of triumph. For the poets, it was a rare instance where poetry came into the spotlight as a form of resistance to the untruths being spouted. Poetry can be used as therapy, but to suggest that poetry’s therapeutic utility is its worth is severely misdirected. If poetry is worthwhile because it can make us feel better, then it is unclear why reading poetry is in fact better than, after a long day, opening a beer and binge-watching Gossip Girl. But many appear to see the writing of poetry as perhaps a most potent antidote to alienation and despair. If this correlates to how much poetry is being produced, we then need to face just how many people appear to feel alienated and in despair, with a need to express it. Accordingly, discourse and critique about poetry as art form takes a backseat to the right to express oneself. Any critique becomes perceived as a personal attack, not a commentary on the misdirected aims of a community that’s so struggling to be heard by anyone at all. For one who dares to criticize, however, a poet’s memoir becomes maybe an easier target, especially for a poet/critic willing to tear down edifices. Logan’s review of Poetry Will Save Your Life, which is a kind of memoir through poems (largely canonical ones) Bialosky admires, first tears down the promises and assumptions of the book — and only then does he get to the plagiarism. There is a deeper problem than this historical one, as I see it. The claim that Bialosky’s approach will be “wholly original” seems to be in contradiction with her actual aims. If the book is trying to show how poetry can play a part in everyone’s life, much less save it, the claim of originality seems only in service of selling the book as something groundbreaking. With the power Bialosky already wields in shaping the poetic environment, it is surprising that standing out as wholly original should still be a concern. Most likely Bialosky’s marketing copy is not meant to entail all of that, of course. But the way the book is marketed is also potentially problematic for the aim of admiring poetry as art at all. Perhaps this framing, that standing out against tradition in a unique way, is an echo of the emphasis on individual identification with being a part of this or that socio-political group that shapes the political atmosphere, and which can be seen in the microcosm of the poetry world as being the foundation for so much of the poetic work being produced. This goes hand-in-hand with seeing poetry as a therapeutic and not artistic end. An artistic end, I would hope, seeks to enter into conversation with poetic history. If the market determines what gets published, and identity politics has taken such a stronghold on our political thinking, then of course there begins a competition among poets to become the most unique, the most alienated, the most in despair. There is not even any question of whether we should align the author with the speaker of the poems anymore. There is no artifice, no concern with talking to history, just a competition for who has been loudest in claiming their right to express themselves. Seeing poetry as having a therapeutic end and seeing poetry as a way of expressing one’s originality are both rooted in a capitalistic culture that lauds the expressive individual above all else. And yet, no one wants to read what all these supposedly wholly original expressive individuals have to say. It is pretty clear that Logan sees such a project as defiling the art that so many of us hold dear by suggesting that poetry’s worth can be reducible to autobiographical details, a model that the populace can use. In a sense the assumptions about the market that made Poetry Will Save Your Life possible are exactly the things that turn people off about poetry — that there are such contemporary poets willing to explain how poetry can be relevant for the layman. I have been leaving aside for a moment the allegations of plagiarism. It is admirable that Logan didn’t lead the review with such findings. First he tore into the poor execution of the book and then he showed the lifted passages and their sources. I want to say that the two issues, poor execution and plagiarism, are related in that the poetry industry has managed to alienate itself from most readers and not because its concerns have become too academic or obscure. 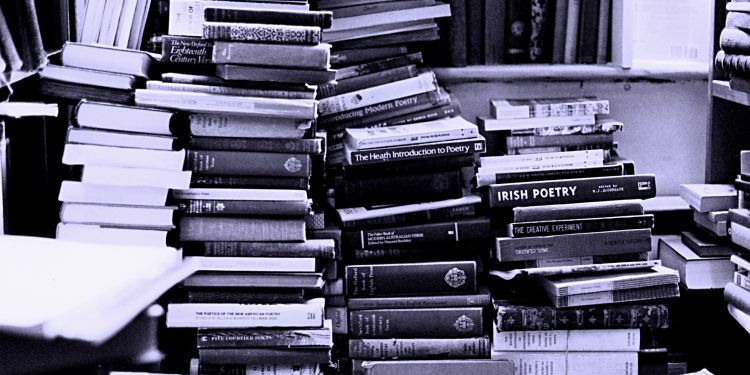 It is quite the opposite: in a frantic rush to sell itself, to be read by anyone at all, much poetry has become nothing beyond a handmaiden to identity politics, and therefore it has become pretty much nothing at all. It is not about uniting people but standing out as “wholly original.” If everyone is wholly original, logically speaking, no one is. Plagiarism is not morally reprehensible because it lacks originality but because it masquerades as authentic when it is anything but. The plagiarism in Bialosky’s case becomes especially striking given the marketing’s claim to originality. Most disturbing, perhaps, is what Bialosky tweeted the day before the review came out. It is uncertain whether she had wind of such a review being published. Tourniquet had posted on its Facebook and Twitter accounts that Logan’s review would be live on the site soon. In that window of time, Bialosky wrote: “With all the divisiveness and doomsday catastrophe in the world wtf are people engaging in poetry wars?” Her question, here, suggests at least one thing: that what we do in poetry and language is not that serious compared to “doomsday catastrophe.” If she had any notion that the review was coming out with allegations of plagiarism included, then her tweet would be invoking such catastrophes to deflect personal corruption (something for which another tweeter in the news daily has become known). I wish we could take Poetry Will Save Your Life as just another good-intentioned but essentially misdirected attempt to turn the poetry-indifferent public on to reading poetry, but if we take Bialosky to have plagiarized portions of the book, we end up doubting not only her own commitment to the idea of the project (however flawed) but her status as luminary and master of the very industry she is trying to promote. Therefore it is not unfair to have a conversation about the status quo of this industry and how it has influenced the art form. To try to win over the poetry-indifferent public by reducing poetry to its possible practical uses is already a way of tacitly insulting the readership’s intelligence. To plagiarize, even inadvertently, in the process is an insult to Bialosky’s own. What poetry needs is not a guarantee that it will save one’s life, but an elevated debate in which poets and critics are willing to argue about what is most important to the art at this time, when only a few of us care about it. We need to have a conversation about how identity politics has shifted poetry away from the universalizing force it can be when expressing what is essentially shared and human. Otherwise, we will continue to alienate outsiders and each other in overt and sometimes inauthentic ego stroking on the one hand and silent contempt of our peers on the other. 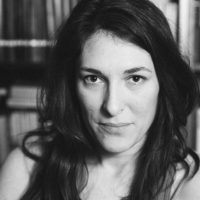 Sarah V. Schweig is the author of Take Nothing with You (University of Iowa Press, 2016). She studies philosophy at The New School for Social Research. This interpretation is my own close reading of the poem, but for more ways of reading Milosz’s poetry about poetry, click here for an interesting essay I found after writing up my own viewpoint. The question about which kinds of plagiarism are worse than others is touched on in an interview with Logan. I won’t go into these debates here.